"Stuffed" is one of my favorite ways to eat artichokes. I love how all the flavors blend together while cooking, and they just feel like a more complete side dish with all the extra goodies on top. 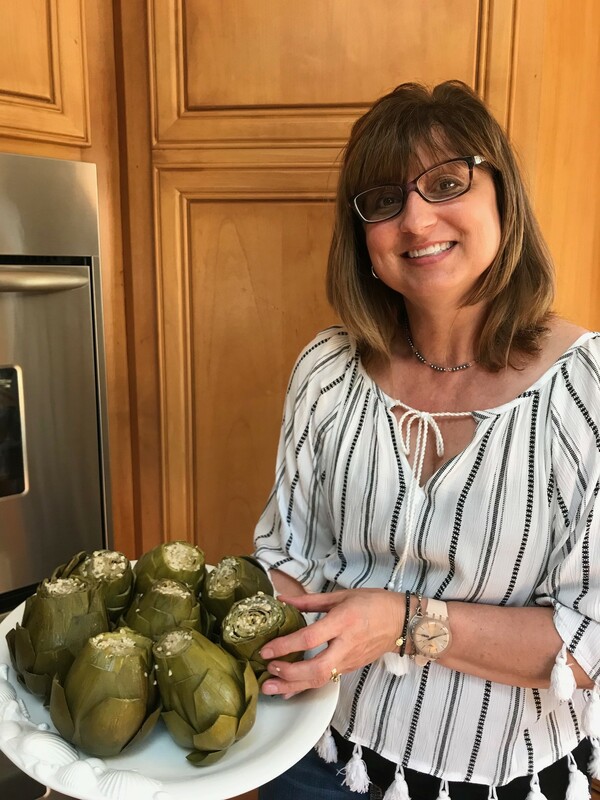 Today, I want to share three delicious stuffed artichoke recipes that each have a unique flavor profile to mix up your menu without compromising the gooey stuffing goodness we all love. 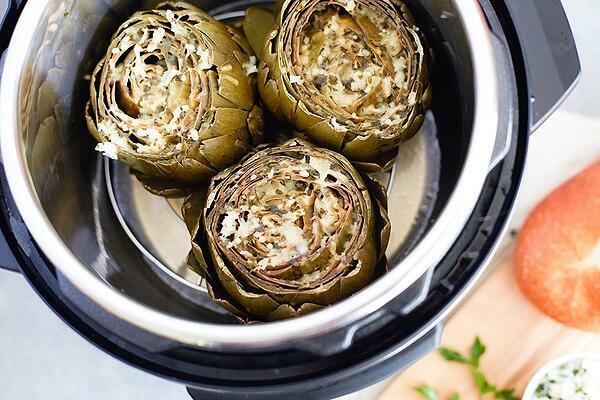 First up is our Stuffed Artichokes with Spicy Italian Sausage and Sweet Red Pepper slow cooker recipe. I like to use this recipe as a main dish similar to stuffed bell peppers, so it's a great one pot meal. This one takes about 6 - 8 hours if cooked on a low setting, so it's perfect for the weekend when you have a little more time to let dinner come together. And trust me, it's worth the wait! Are you a fan of spicy foods? 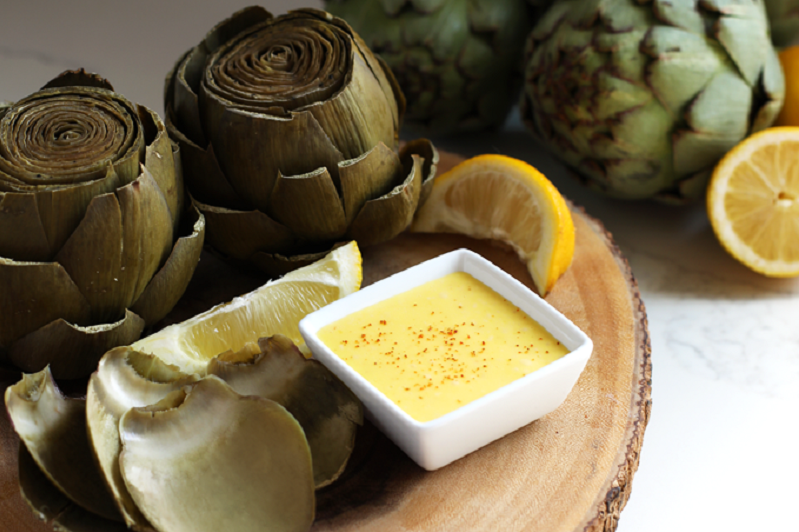 Italian-Stuffed Artichokes with a Touch of New Orleans Heat is for you! Diced jalapeños spice up this cheesy, bacon-y stuffing and are always a hit at our weekend football watching parties. This recipe makes 6, so there's more to go around - although they seem to only last about 10 minutes! 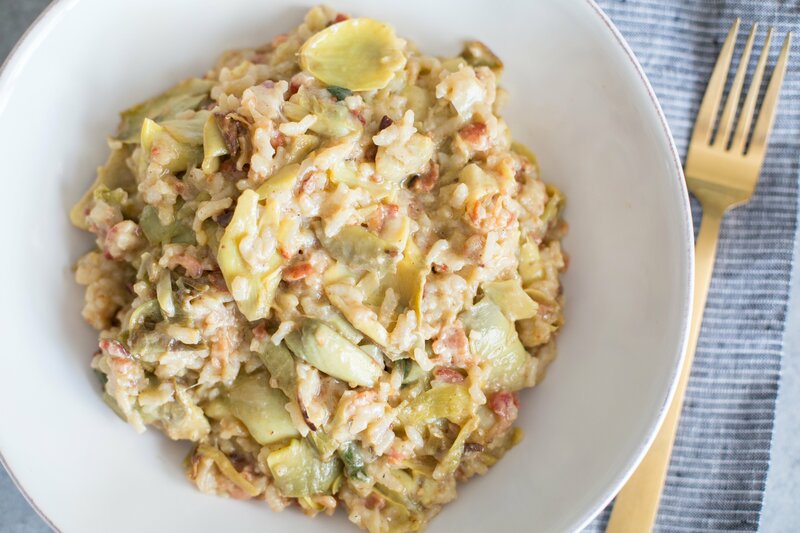 The next one might be my favorite stuffed artichoke recipe right now just because it comes together so quickly in my Instant Pot. 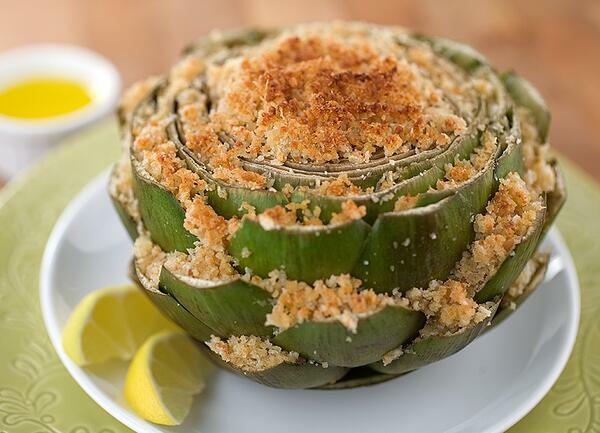 Crouton Stuffed Italian Artichokes are full of cheesy, breadcrumb goodness, and is a good blend of mild flavors for kiddos to enjoy with you. It's also a more neutral recipe that you can pair alongside any of your favorite proteins. 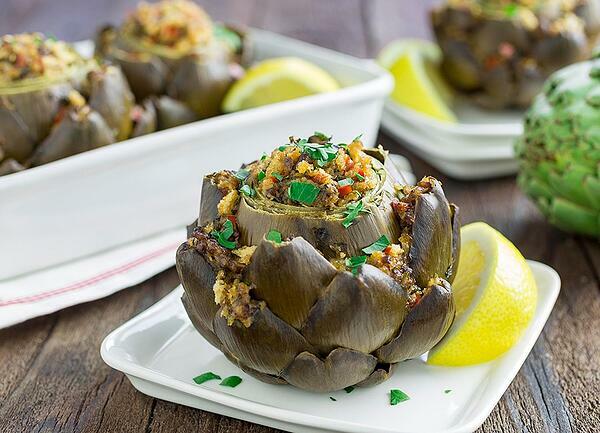 There is honestly no limit to the versatility of stuffed artichokes. I encourage you to play around with your own favorite flavor combinations and see what you can come up with. And we'd love for you to share you creation on any of our social communities linked below. Happy stuffing!